Average annual wage in York County continues to lag behind Pennsylvania. 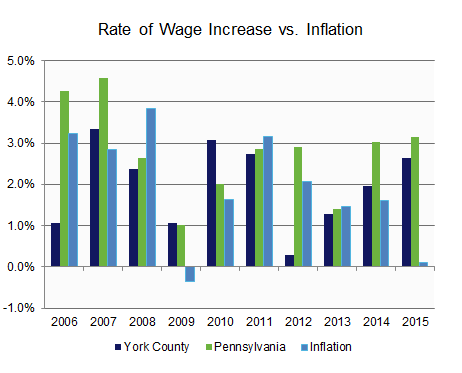 York County’s rate of wage increase continues to climb and surpass inflation, yet it has not approached pre-recession levels. *Note: The Dollar values in the "Average Annual Wage" chart are inflation-adjusted to the most current year.